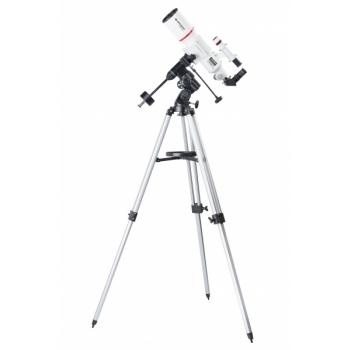 Excellent for entering into the hobby of astronomy: 90mm aperture delivers 200 times more light than the naked eye! Observe craters, valleys and rims on the moon from nearly 400,000km away just as you would look out of the window of a spaceship! 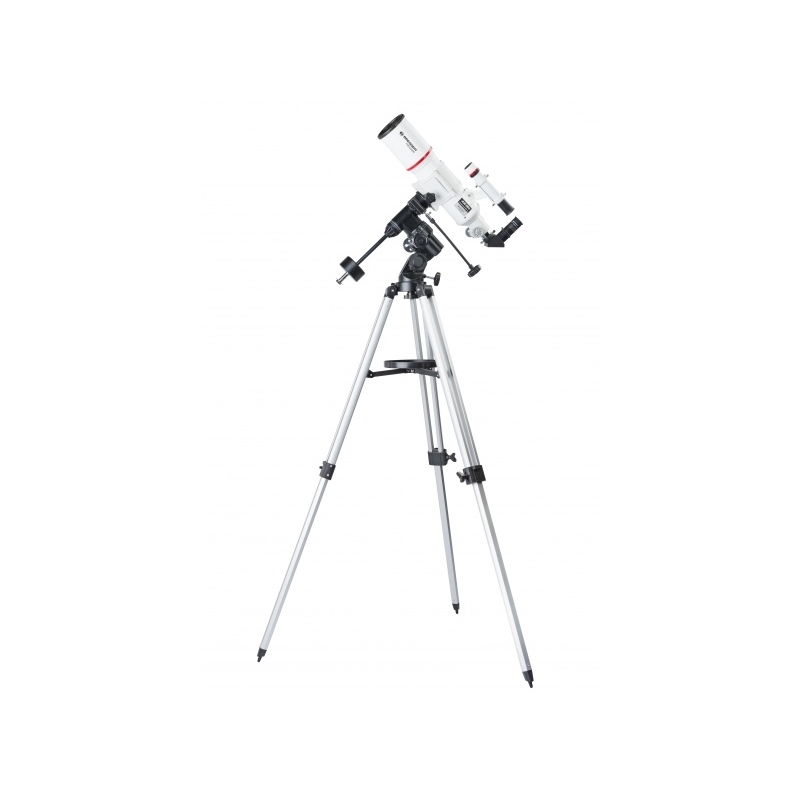 The BRESSER AR-90s with EQ-3 mount does not only provide highly detailed views of the moon: Gaze at the division of the rings of saturn millions of kilometers away or explore the Great Red Spot of Jupiter, a giant tornado in Jupiter's atmosphere. Watch the seasons on Mars and find the sickle of Venus. 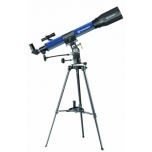 Richfield telescope with a short focal length of 500mm. 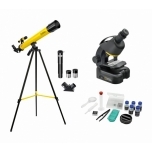 Suitable for traveling and to observe large open star clusterns and the milky way. 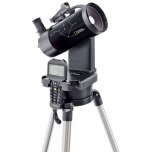 The BRESSER AR-90s gives you images that are many times brighter than the instrument Galileo Galilei was using for his famous explorations almost 400 years ago. 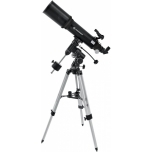 This telescope is mounted on a very stable German Equatorial EQ-3 Mount which offers a very easy and precise manual tracking of the clelestrial objects.